FILTERS are an integral part of any lubrication, fuel, air or water system, without filters any amount of contamination may and will enter any unprotected system. We supply only the best performing filters & housings for each individual application as required. A badly performing filter can cause damage to a unit by incorrect filtration or complete shutdown by blockage. A small amount of dirt or water can cause a major amount of damage. All FILTERS HAVE THEIR OWN QUALITIES & APPLICATIONS. 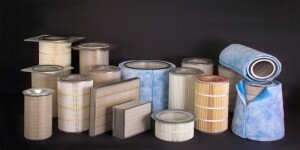 AIR FILTERS: Air filtration is crucial to the optimum performance of any engine to prevent the induction of airborne debris & dust.To run efficiently a late model diesel engine you will require approximately 56800Ltrs of clean air to burn 3.8Ltrs of clean fuel, allow 20% or more clean air with a turbo charger. So clean air is paramount. FUEL FILTERS: Dirty fuel is a fact of life, even with the development of cleaner burning fuels contaminants are still a major concern. Over 700 different types of fuel filters can be supplied including water separator filters to protect your sensitive fuel system. WATER: Damages fuel injector pumps & fuel injectors by destroying the lubrication qualities of the diesel fuel. DEBRIS: Non combustible items causing internal pump & injector blockages or damage. FUNGUS & BACTERIA: Feeds on hydrocarbons & water in fuel tanks reducing the flow of fuel through filters until finally blocked, its better in the filter than in the injector pump, this is where fuel additives such as Dynafuel should be used to combat fungus. WAX: A necessity in fuel to add energy to the combustion of fuel when warm, unfortunately inhibits the flow of fuel when cold as it can thicken and gel. 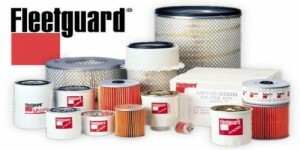 LUBE OIL FILTERS: Dirty oil can cause major damage to your unit. By using the correct lube oil filter for your application you will minimise the possibility of costly repairs & down time. It is our responsibility to supply the best filtration system we can supply for the most competitive price available. With over 800 types of lube oil filters at our disposal for light & heavy duty applications we can guarantee the right product for you. With new emission control standards worldwide have come new types of oil, these new oils play a vital role in the protection of your engines by reducing friction & aiding in the cooling & cleaning of the engines moving parts. HYDRAULIC FILTERS: Usually under much higher fluid pressure than engines, utilising a more robust filter design. With tolerances being closer & dealing with faster cycle times let alone service times generally being longer a higher demand is placed on the hydraulic filter. CABIN AIR FILTERS: More & more late model vehicles are delivered with climate control systems utilising cabin air filtration systems, most vehicle owners do not realise they have a cabin air filter until they can smell them. This can cause passenger discomfort, illness,excite allergies & headaches. Air conditioned earth moving machinery also have a filter system for their cabs to increase the comfort of the operator. These filters filter pollen, dust, smog, dirt & bacteria from the interior & exterior of your vehicle & need to be replaced as per service schedual. Allstate Oil & Filter Supplies Pty Ltd will supply all filters as required.